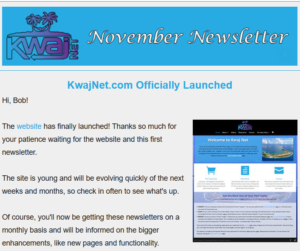 Sign up to Kwaj Net emails and you’ll get subscriber-only discounts, new product announcement and website feature enhancements. *First-time subscribers will receive a personalized 15% coupon code/discount from The Kwaj Shop. Stay informed. Get discounts. Have fun. Sign up! 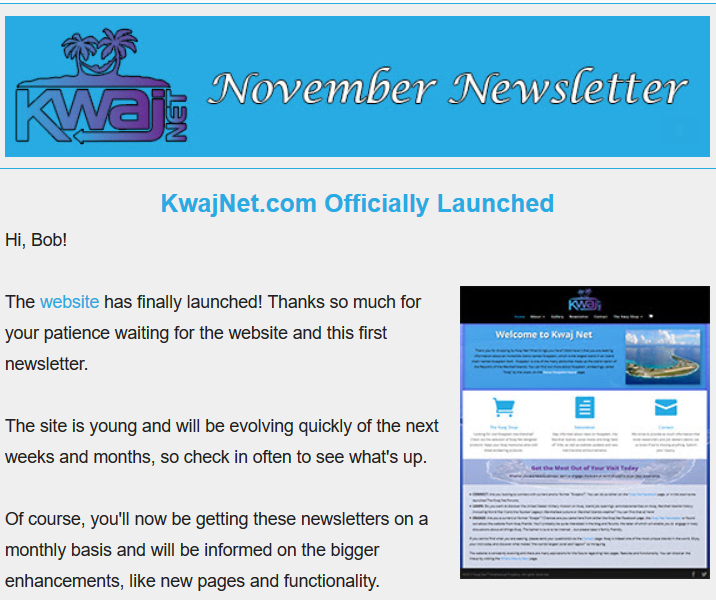 You have successfully signed up for the Kwaj Net newsletter. You will receive a "double opt in" email to ensure that your address is correct. Please respond to that so MailChimp knows that you are human. Thanks! Not everybody wants another subscription. I get it. There are some great alternatives though. The Kwaj Net Facebook page is bustling with the latest on-island news and you’ll love the videos on YouTube “Kwajalein Videos” playlist. Tweets are a mix of Kwajalein, RMI and Oceania news and the Pinterest boards are just getting started. Help Kwaj Net grow by following the social accounts and share the content.